Does chasing after marauding trolls through the Norwegian countryside and taking them out with a bevy of homemade specialized weapons sound like fun? Of course it does. Did I mention that these aren’t the cute, fuzzy little critters that sit on the end of your pencil? This weekend, American audiences will have a limited opportunity to enjoy the spectacle as last year’s highly regarded Norwegian genre hit Troll Hunter finally makes its way to select U.S. theaters. 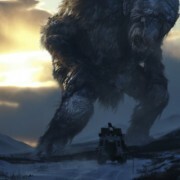 Relying on the found-footage conceit and shot from a first-person perspective, Troll Hunter can be dubbed as Norway’s Cloverfield. And while Cloverfield is a largely successful film, Troll Hunter is better focused and faster paced, not to mention the incredible bang for the buck achieved by writer/director André Øvredal. The film crew runs after him and when they reach their vehicle they find it over turned, smashed and stripped of its tires (it turns out trolls eat them). Hans decides to spill the beans – an exercise in catharsis after years of keeping secret the government agency for which he hunts trolls with little reward. At first the students patronize Hans, but offer to go with him to hunt trolls again the following night. The next night, after a three-headed troll appears through the pines – one original head, and two faux heads to both intimidate troll competitors and to impress the troll ladies – the students’ eye-rolling contempt for Hans quickly turns into exhilarating, stunned excitement. The remainder of Troll Hunter is a wild ride as the film crew documents Hans’s attempt to figure out why Norway’s trolls are behaving in ways that may reveal them to the public and expose the government’s secret. Despite the origins of my name – Jason Thorson, a Norse cliché if ever there was one – I have scant knowledge of the customs and culture of my ancestral homeland. Troll Hunter is obviously an allegory for current political and environmental issues in Norway, and while that’s vaguely discernable to outsiders and probably much more gratifying to those familiar with Norwegian policy issues, it’s not a necessary factor in making the movie work. The same can be said for the prominence of trolls in Norwegian folklore. A familiarity with those myths and fairy tales is beneficial, but not necessary to both understand and enjoy the film’s premise. This movie delivers a thrilling spectacle, but what’s surprising is that Troll Hunter is every bit as funny as it is thrilling. The laughs aren’t played as outright jokes, but rather they arise organically from the film’s cultural and situational context. One source of humor that’s mined repeatedly comes from the Old Norwegian fairytale in which trolls “Can smell the blood of a Christian man”. The peril of being a Christian in the presence of trolls is a running joke that pays off in a variety of ways throughout the movie. Being a Christian in Troll Hunter is akin to being Spinal Tap’s drummer. The film’s entire cast performs admirably, but comedian Otto Jespersen’s portrayal of Hans the troll hunter is the engine that propels the film. He’s cast against type as the straight man for all intents and purposes and as the movie progresses we find he’s grown cynical and disillusioned with his function as a secret tool of the government, thanklessly keeping Norwegians safe from the monsters of their childhood tales and he’s looking for a way out. This antihero aspect of his character is compelling and it adds a multidimensional, dynamic framework to Hans, and one that Jespersen articulates with the type of subtlety and nuance usually reserved for the types of films far removed from our beloved genre. Troll Hunter is visually incredible. Especially given its relatively small budget and the fact that Norway doesn’t have a system of experienced artists like we have here in the U.S. that create digital creatures the way Bobby Flay makes toast. And the film’s trolls run the gamut, from those that dwell in forests to those that roam the mountains, including that three-headed menace aggressively sniffing out our heroes as well as a 200-feet tall mountain troll – the troll of all trolls, if you will. The look of the film’s trolls is faithful to the early 20th century paintings of Theodor Kittelsen who illustrated Asbjørnsen and Moe’s Norwegian Folktales. His work still provides the basis for trolls in Norwegian literature and pop culture at large. 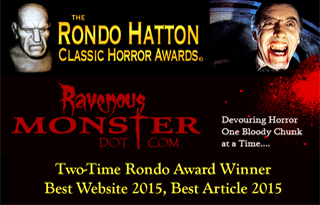 The film’s adherence to a realistic representation of this aesthetic – their long bulbous noses, their furrowed and prominent brows, and their thin, shabby tails – creates a disconcerting juxtaposition that actually serves the film’s fright factor rather than manifesting as whimsy or comical like one might expect. The found-footage narrative device has been all the rage in horror cinema over the last decade. However, the cinema vérité style comes with some sacrifices that have befallen all of these films to varying degrees, from the seminal Blair Witch Project and the aforementioned Cloverfield, to movies such as Quarantine and Diary of the Dead. Troll Hunter is not our young college students’ movie, but rather it’s Hans’s story – his stakes are defined and his arc is the backbone of the film’s plot. Troll Hunter plays much better once that’s made clear. Unfortunately, empathizing with Hans is disorientating at times because his story is told from another character’s perspective. Through some of the movie we’re left wanting because there are no explicit signs telling us that the college students whom we meet first aren’t the film’s true protagonists. It’s in this way that Øvredal’s cinema vérité approach adds an over abundance of space between us and the plights of the film’s characters, weakening an otherwise blast of a movie. That’s certainly not unforgiveable, but it’s a weakness nonetheless. While Troll Hunter isn’t faultless it is another example of outstanding, independent genre filmmaking coming from a place where films of this nature are rare at best and often times nonexistent. André Øvredal has created an over the top thrill ride, one he’s bestowed with a bit of depth and defined with some of the coolest cultural folklore around. Sounds like a must-see and a welcome relief from the usual formula stuff!